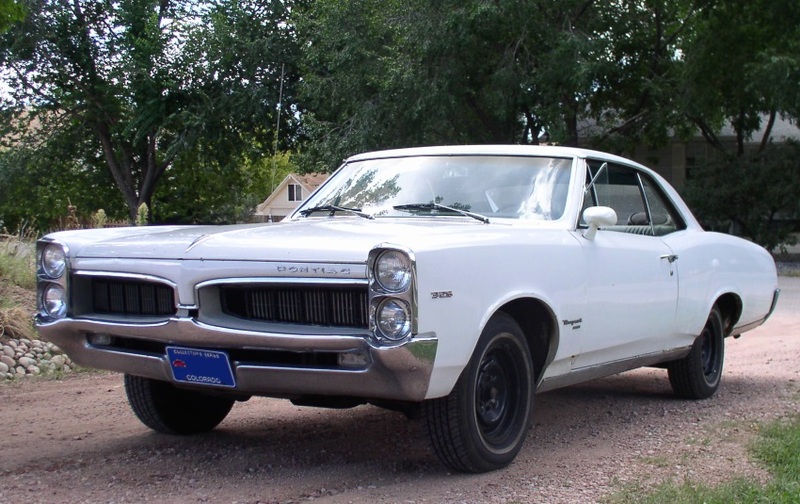 Let’s face it – everybody thinks “GTO” when you mention a 1967 Pontiac. 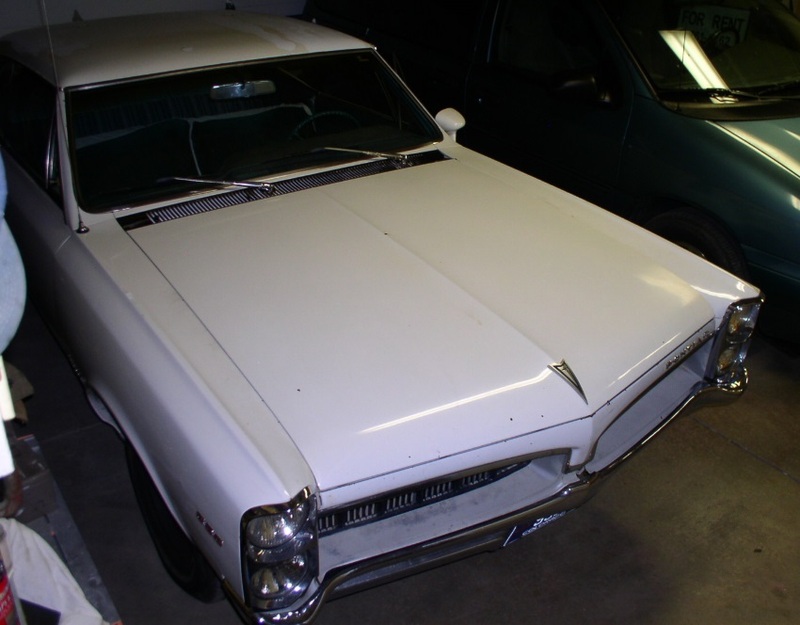 I’m restoring a 1967 Pontiac, but it’s not a GTO. It’s a much rarer Poncho – a Tempest Custom 2-door hardtop. 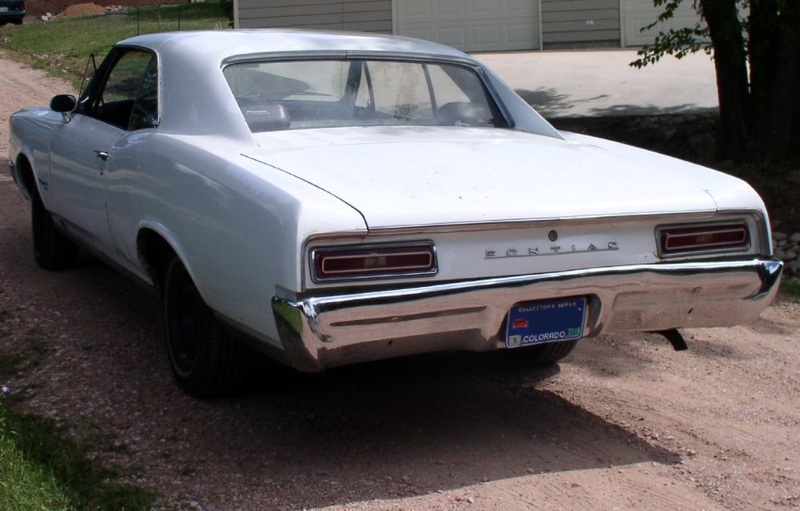 Did you know that a 1967 Pontiac Tempest Custom 2-door hardtop is the rarest of all the 1967 Pontiac intermediate hardtops? 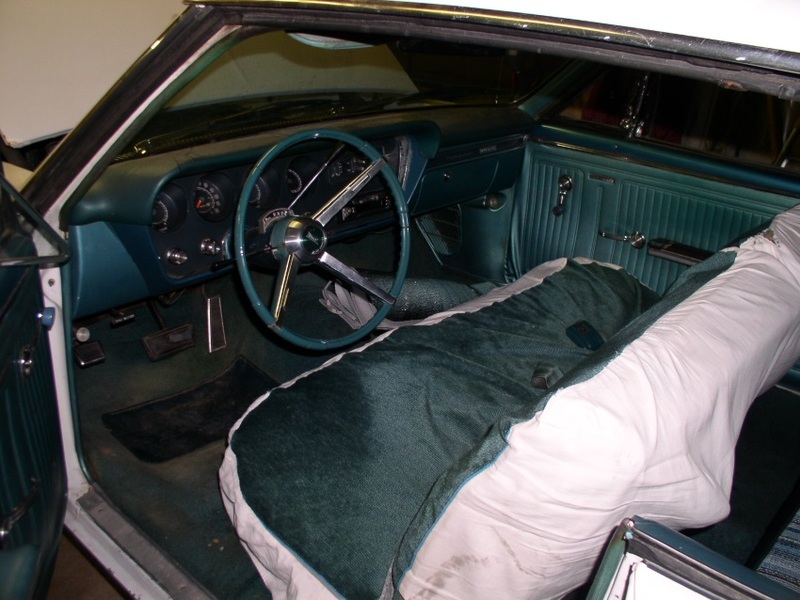 It’s true, only 35,502 Tempest Custom hardtops were made, compared to 65,176 GTOs and 75,965 Lemans hardtops – body style 17. What you’re looking at is a true survivor, and what the car looked like when I drove it home from Northern Colorado in the Fall of 2007 (minus some really ugly plastic K-mart hubcaps). A short test drive was all it took to convince me to bring this old girl home that very day. I couldn’t believe my luck when the owner accepted my personal check! One quick signature, the sound of ripping paper and I was off to home in Colorado Springs, CO. Possibly THE sweetest front end Pontiac ever made? While 2 quarts low on oil (due most likely to very leaky valve covers and which I refilled immediately), I did make the trip home to Colorado Springs – about 100 miles – without incident. I like to think I made the trip in style. With a leaky, rusted exhaust system blaring the sweet sound of an unmuffled Pontiac 326 roaring at 80 miles per hour, we made a great pair. When I got home, my wife was thrilled (yay!) and we parked in the garage that night. The rear view – really awful dented bumper and misaligned trunk. It’s Dark Turquoise Metallic! I’m keeping it that way. 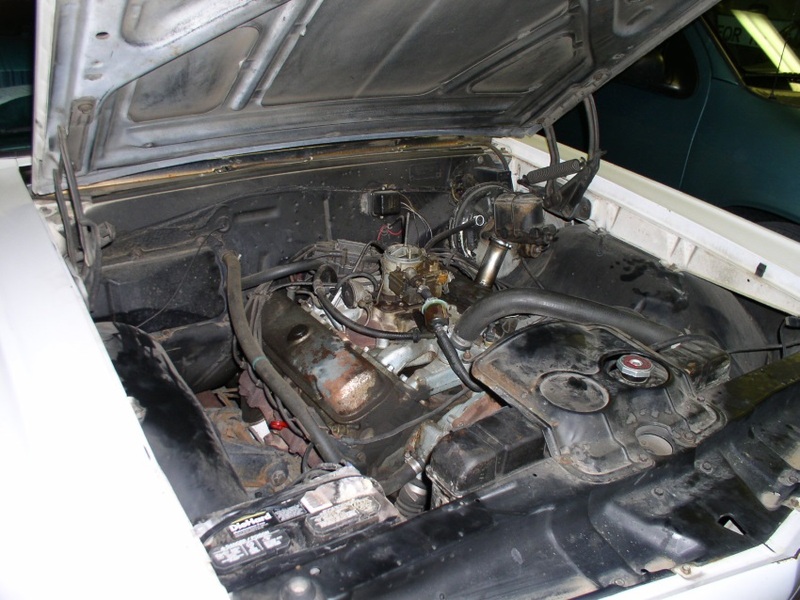 The crowning glory – an original, numbers-matching rebuilt Pontiac 326 V8! Even though the car looked fairly decent, I knew she hid some deep secrets. Other than the obvious bent rear bumper, there were some tell-tale signs the old girl had some rust. 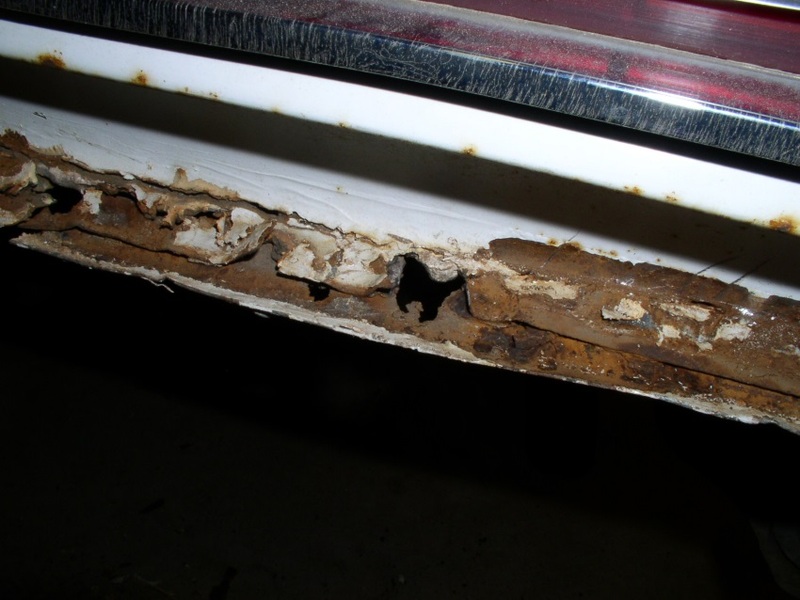 The first bit of rust that caught my eye, even before I bought the car, was the rust below the tail lights. The original Cameo Ivory exterior had one poor quality repaint with a similar color. The poor body work under the paint was obvious and the clear coat was peeling off all over. Can you see the peeling clear coat on the roof? Numerous dents, dings and scratches all over the car (and a couple of places where big gobs of body putty were pulling away from the body) indicated that a fair amount of body work might be coming up. I immediately set out to replace the front brakes as I noticed the calipers were dragging. You might ask – how did this little Tempest get disk brakes? That is a question I have as well. The installation looks to be factory-correct. A factory proportioning valve is installed in the right place and brake lines look unmodified. The two piston calipers were gone, replaced with generic GM single piston calipers. I suppose it’s possible that someone along the way replaced the drums with a disk set-up. But it’s just as likely this car came from the factory with disk brakes. Maybe a reader with better information can enlighten us. Either way, the brakes work great and I am delighted to have them! This is all I have for this installment. I will post more of the restoration saga that took place over the last five or so years. But I did end up with a spectacular car and there were many surprises, problems and moments of sheer terror as I worked my way through this car’s myriad problems.